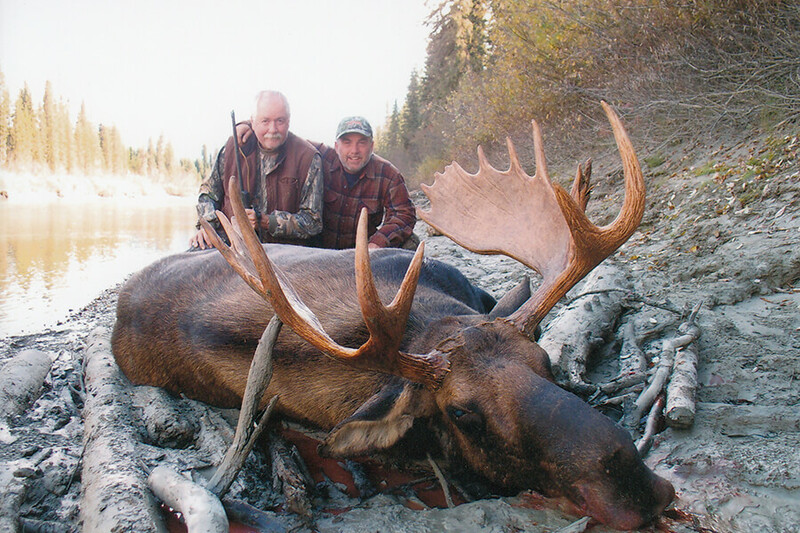 The McGregor River Valley is situated in the spectacular Rocky Mountains, located in North Central British Columbia, and is a family owned operation encompassing 1740 square miles of exclusive hunting territory northeast of Prince George. Prince George is a centrally located city of about 75,000 about 1 hour flight from Vancouver, BC. Prince George has all the amenities including a college, university, malls, theatres, casino and several first class hotels.  McGregor hunting clients are picked up at the Prince George airport and transported to their camp location and will be returned to the Prince George airport/or hotel at the end of the hunt. 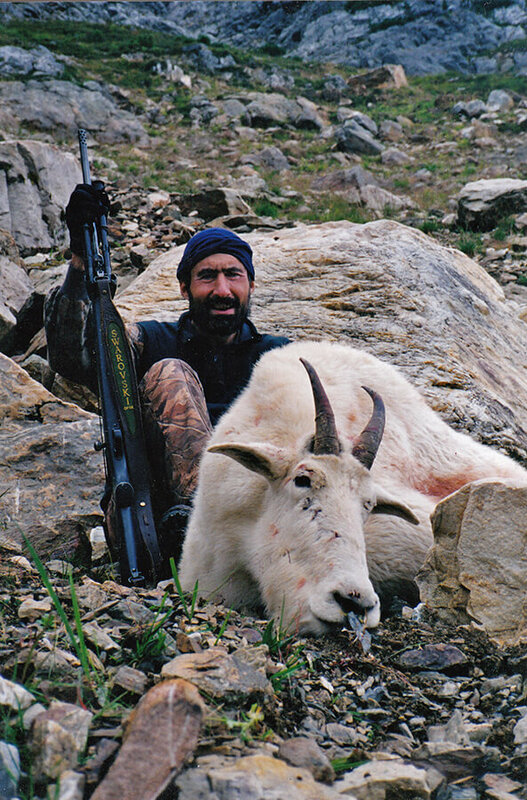 Our accommodations are tailored to meet changing hunt conditions and game movements. 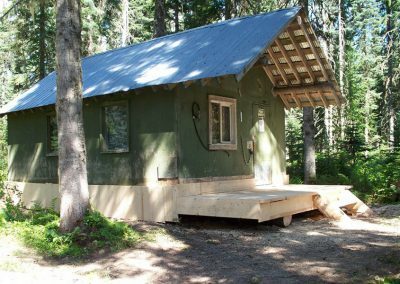 Our base camp is located approximately 90 miles northeast of Prince George and immediately adjacent to the guide area. It offers a large cookhouse, bathing area with hydro and brand new timber frame guest cabin. Hydro at this location allows us the luxury of deep freezers to more easily help with the care of capes, hides, skulls and meat. We also have 2 fully equipped Trapline cabins strategically located within our territory to help spread clients out and offer different experiences. Comfortable wall tent spike camps have recently also proven themselves as a useful tool especially during moose season. Please contact us for exact pricing. The prices listed below are the average estimated cost for a hunt in US Dollars. A deposit of 1/3 is required upon booking. 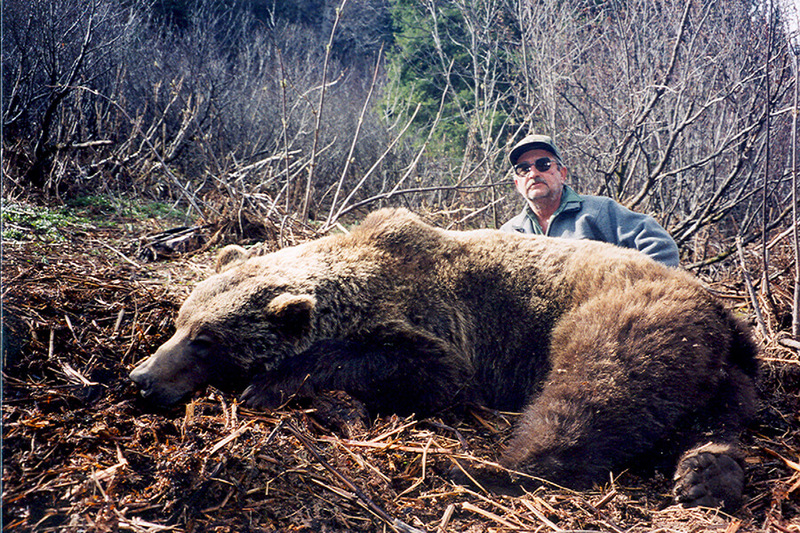 Non-hunting companion spots are subject to availability at a cost of $200 US per day. 5 Day hunt with flexible dates Nov. through Feb. 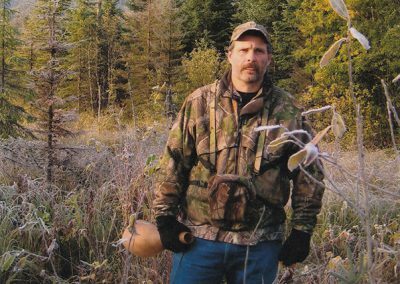 I booked a spring bear hunt in June of 2010. I couldn’t believe the amount of bears we saw averaging 5 to 7 bears a day. The accommodation were rustic and comfortable. Meals and lunches were both filling and delicious, thanks to Kelly’s personal touch. Eric and his staff put us right in the heart of bear country every day. 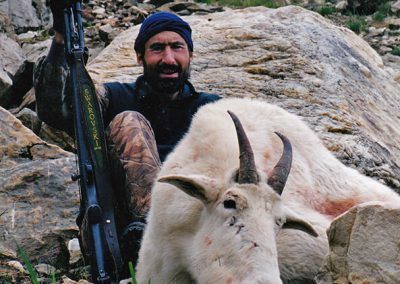 Their experience and knowledge of the area made this a great hunt. I was able to harvest two nice bears in one day; a 7′ black and a 6’6″ color phase, and had two encounters with wolves. 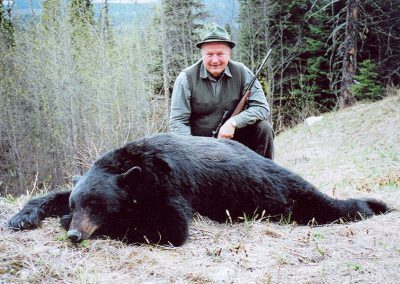 I told you, Awesome hunting. Thank you Eric for everything, I’ll be booking again in 2011. 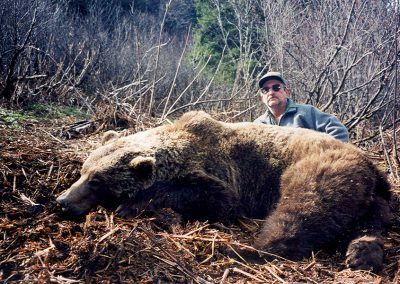 If you are looking for an awesome bear hunt, and a great time, get a hold of Eric right away, book with McGregor River Outfitters. 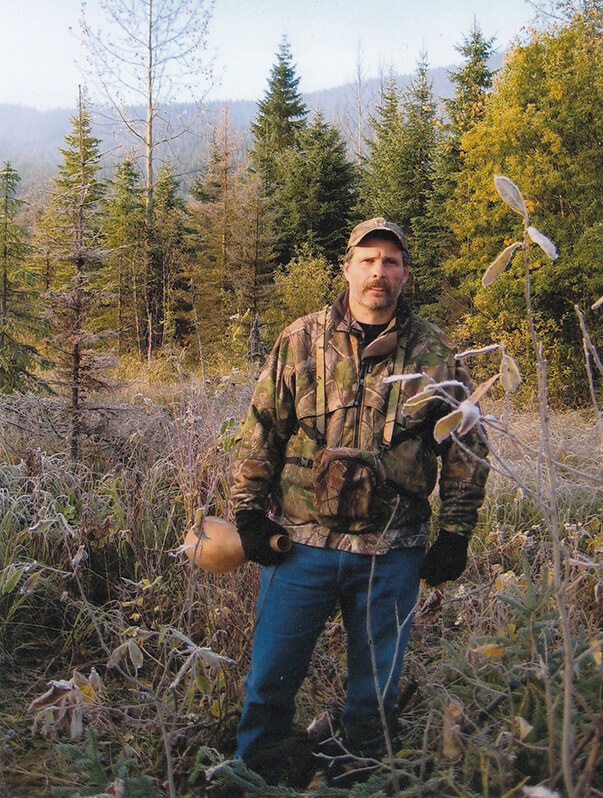 Ethics and fair chase hunting is of the utmost importance. Illegal activities can jeopardize the future of our operation, the potential confiscation of a harvested animal and ultimately the future of hunting. 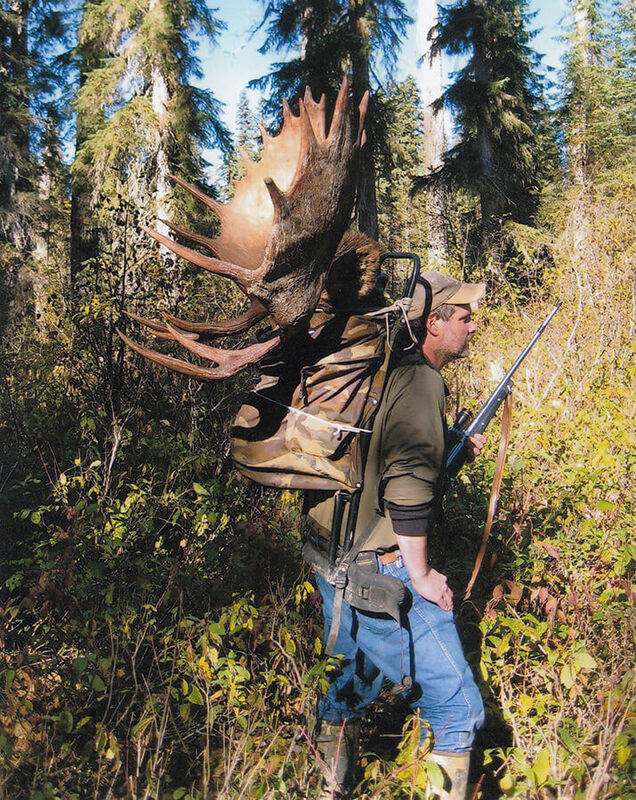 Your guides are aware and have been informed of the wildlife regulations and are expected to obey the laws. Please do not ask them to do activities that are illegal or unethical. If an honest mistake is made, proper steps need to be taken to correct the situation. 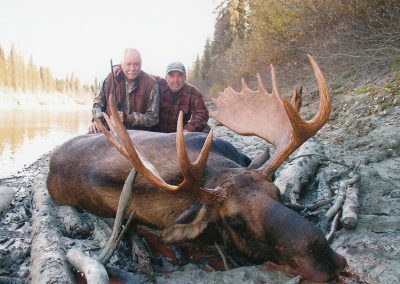 For the very best in Canadian Big Game Hunting contact McGregor River Outfitters to book your Grizzly Bear, Black Bear, Mountain Goat, Moose or Trapline Hunt today.